This newly released Cassini image shows Enceladus at a distance of approximately 41,000 miles away. Most solar system bodies lacking an atmosphere are heavily cratered like Enceladus’ (313 miles or 504 kilometers across) northern region. However, the geologic activity in the south, including the famous plume above the moon’s south pole, can erase craters and leave a younger, smoother-looking surface. This view looks toward the anti-Saturn hemisphere of Enceladus. North on Enceladus is up and rotated 4 degrees to the right. The image was taken in visible light with the Cassini spacecraft narrow-angle camera on November 27, 2016. 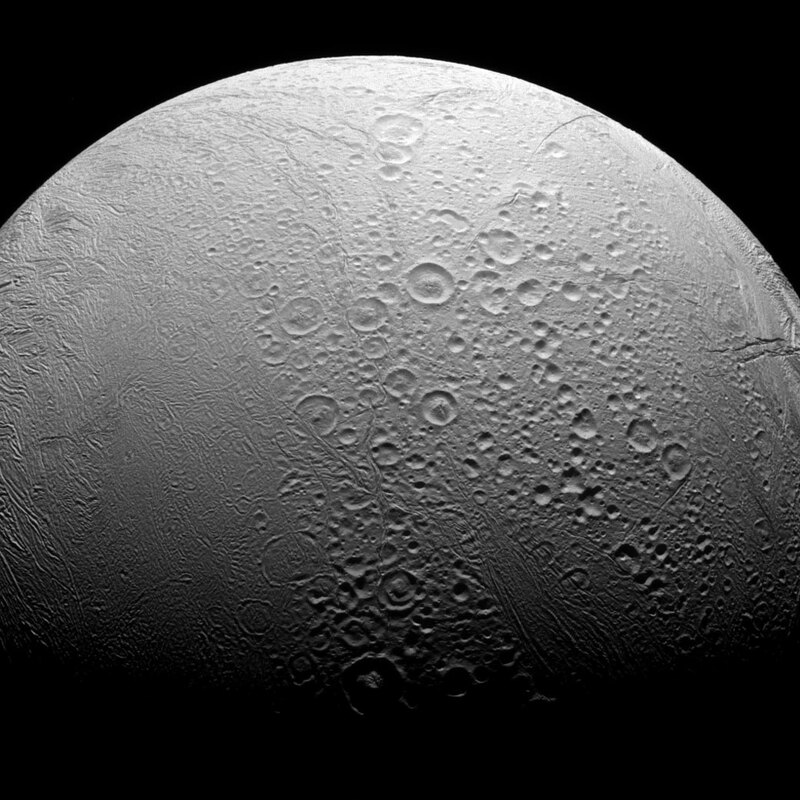 1 Comment on "New Cassini Spacecraft Image of Enceladus"
Why don’t we can compare this to the one sided cratered surface of Pluto while the other side is more even? More mateors on anti- sun side of Pluto caused by the stones in the cometary belt originating beyond Pluto. Thank You.